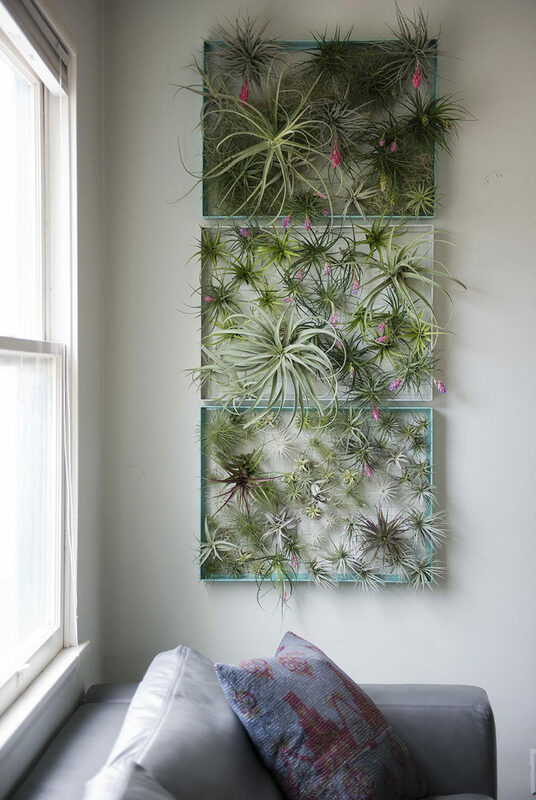 Well, today we’re sharing 6 different ideas for displaying air plants in your home. 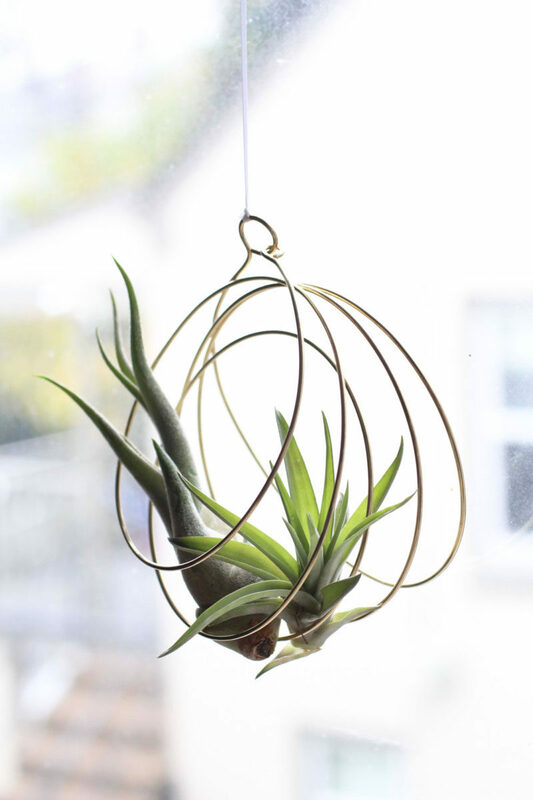 We’ve all seen air plant holders and all the pretty ways they can be displayed, the key now is to make a unique one. 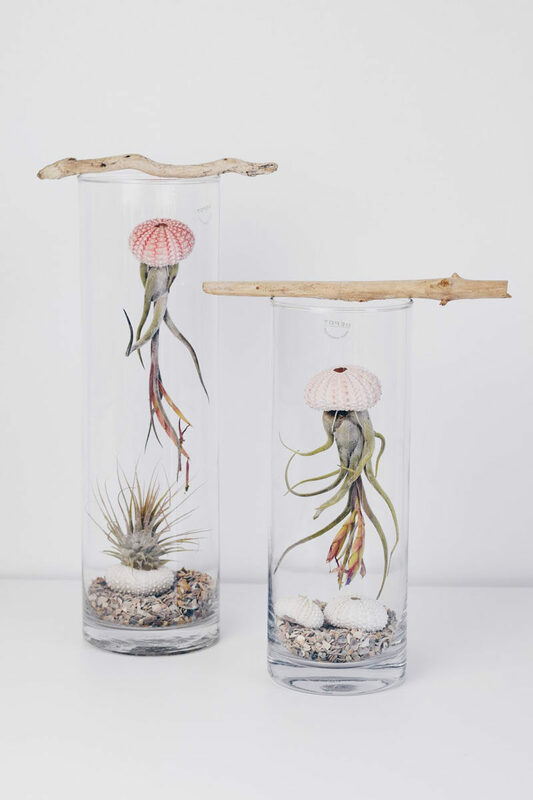 These air plants tucked into shells hanging from drift wood create a jellyfish-like effect and make a beautiful display. 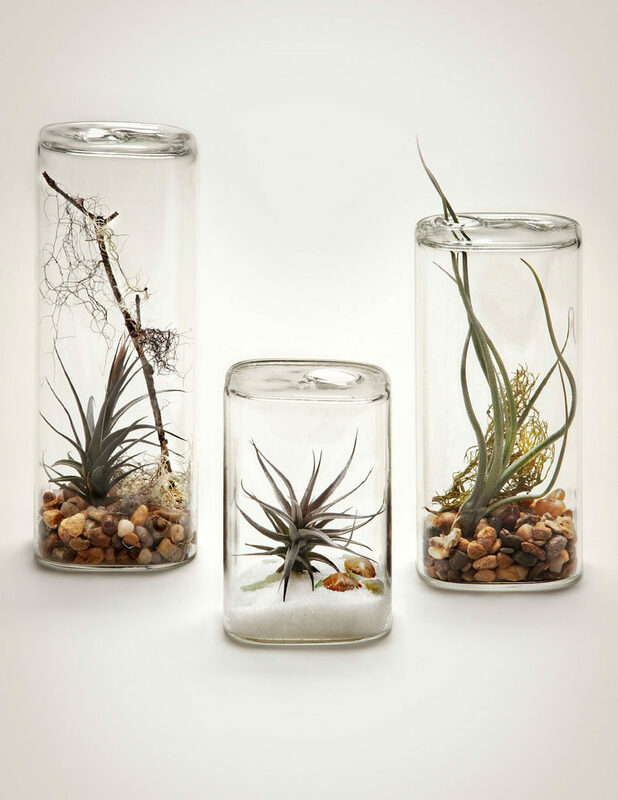 Technically, terrariums require some sort of soil or earth in them, but since air plants don’t need soil to survive, skip the dirt and put them in an aerium instead! 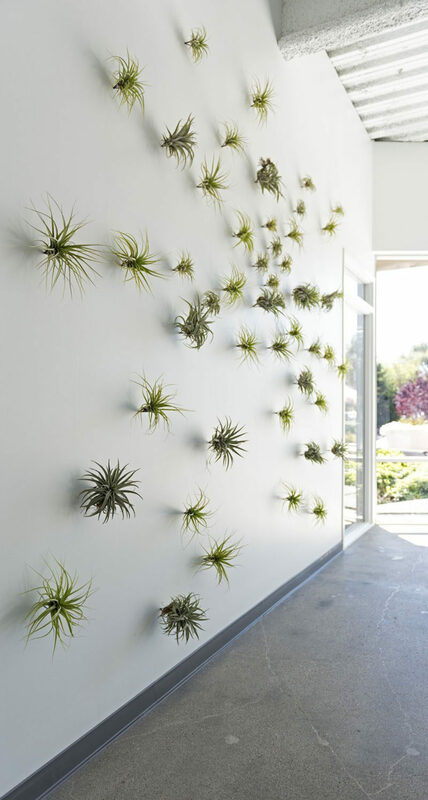 Air plants come in all shapes and sizes, which means they can accommodate any of your needs. 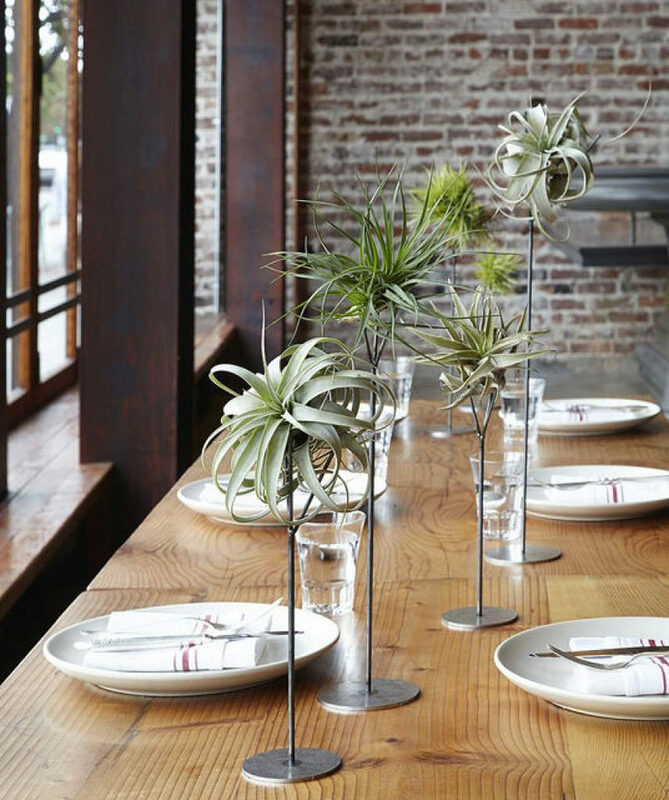 If you have a big empty space on your table, a large air plant will effortlessly fill it. Or, if your table is already full but you’d like some greenery on it, place a few tiny air plants wherever there are some gaps. 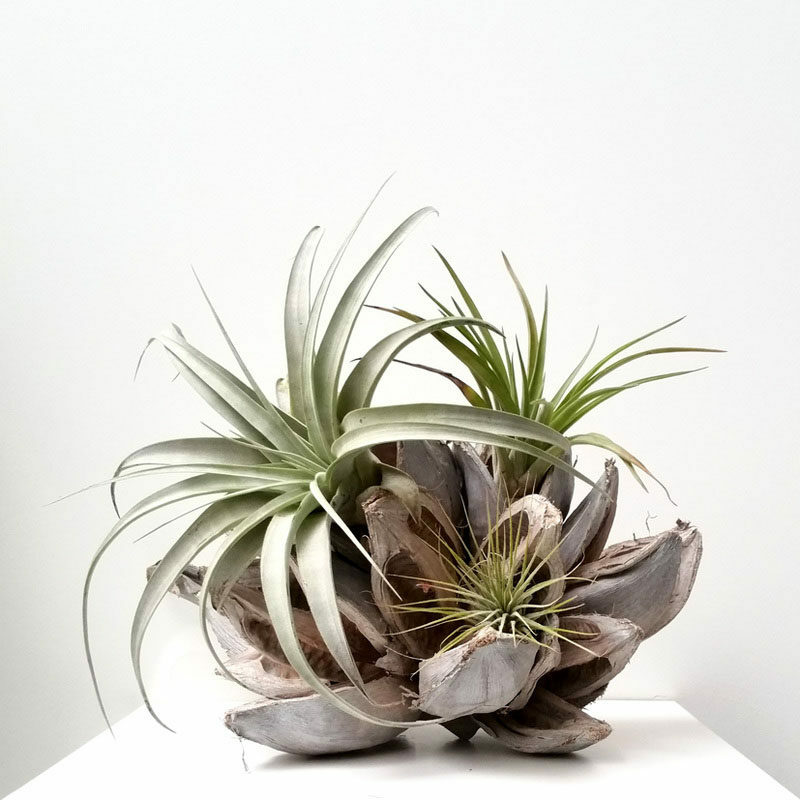 Buying air plants is like an addiction – once you start, you can’t stop. Rather than sprinkling them all over your house, designate a wall or giant holder as their permanent home so you can admire all your little beauties in one place. Spotted in the Evernote Office designed by Studio O+A. Photography by Jasper Sanidad. See the full project, here. 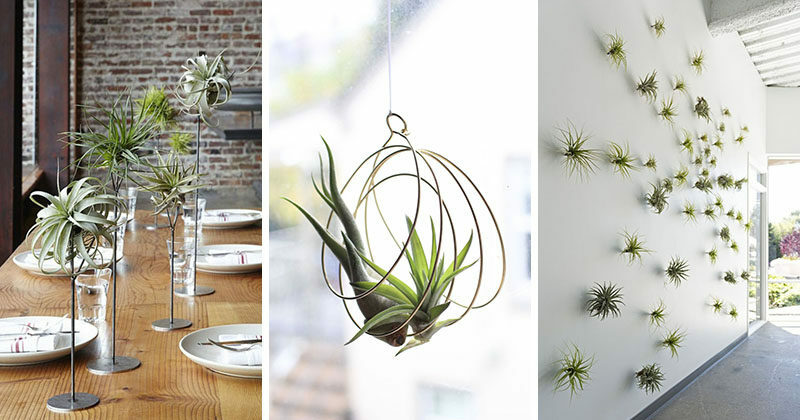 There are all sorts of beautiful ways to hang air plants. 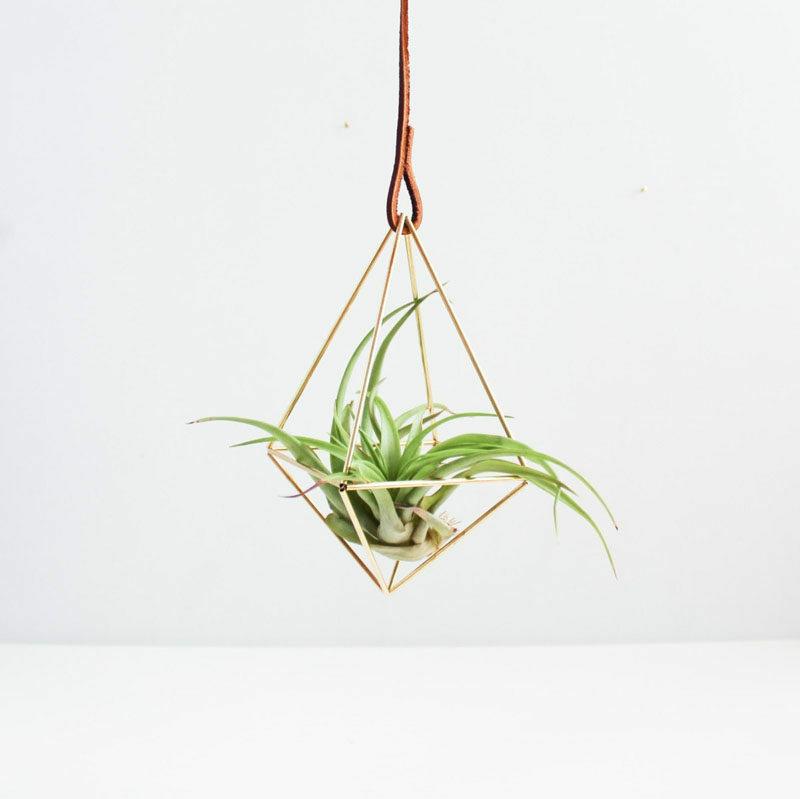 Attaching thread to the base of the plants and letting them hang almost invisibly is one way, but there are also many hangers designed specifically for air plants. 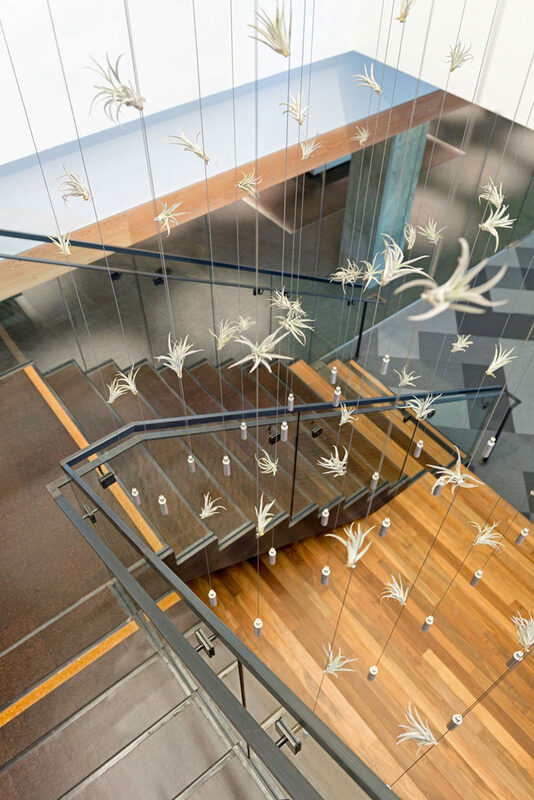 Spotted in the Cisco Meraki Office designed by Studio O+A. Photography by Jasper Sanidad. See the full project, here. 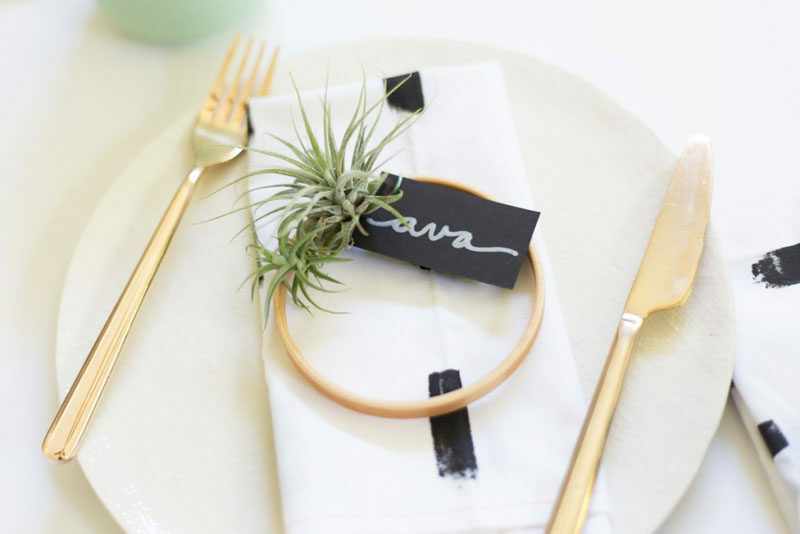 You always want to impress when you’re having guests over for a dinner party, so make the table fancy by using air plants as place holders. 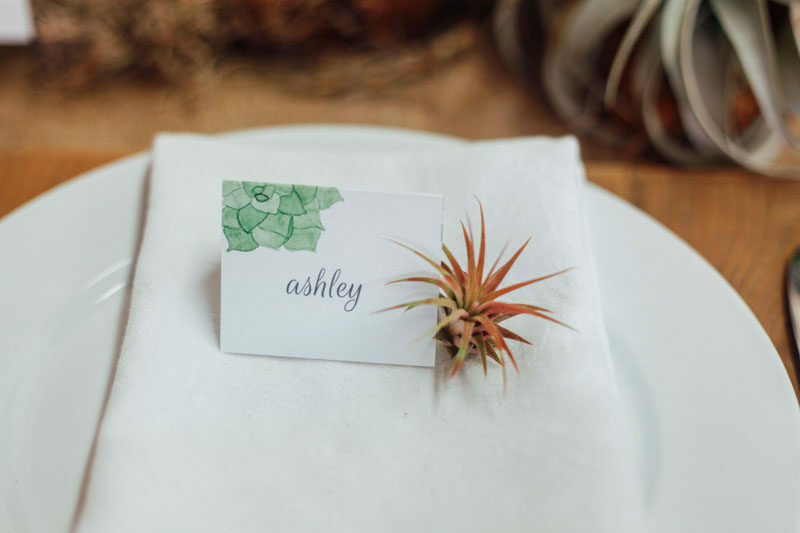 The great thing about using air plants as place holders is that they also end up doubling as a party favor to your guests. DIY air plant wreath by Lovely Indeed.